Throughout these past several months of challenging economic times, there have been a number of industries which have not taken as hard of a hit. The transportation industry is one of those industries that seems to be doing relatively well and is actually increasing in size. As a matter of fact, truck driving consistently is recognized as one of the top ten careers in the nation. A major reason is that the Wolf Driving School has been offering a comprehensive CDL training and truck driver training program to both prospective drivers and former drivers who are hoping to brush up on their skills and renew their licenses in order to reenter the industry. Our business is founded on the basic principles of Honesty, Reliability, and Quality. 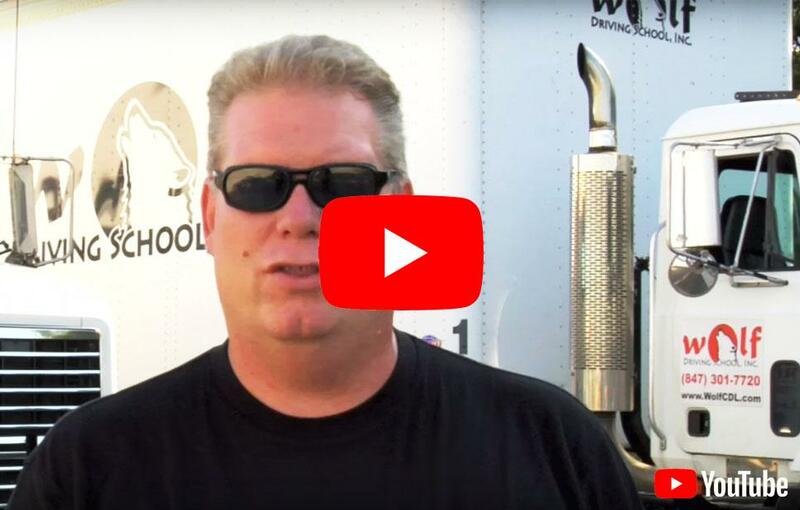 As one of the most trusted truck driving/CDL driving schools in the Chicagoland area, Wolf Driving School offers various training classes, including basic truck driving training to CDL training. Conveniently located in Schaumburg, Wolf Driving School is only two miles away from Arlington Heights. This is a perfectly great location for your truck driving training and to practice for your CDL exam. Arlington Heights, Illinois is found in both Cook and Lake Counties. The village has a population of 76,031 residents. Arlington Heights is an affluent area, located 25 miles northwest of downtown Chicago. Although, Arlington Heights is a suburban village, it has a big city atmosphere encompassing it. The village is home to many notable establishments, such as the Arlington Park Race Track, Arlington Heights Memorial Library, and Metropolis Performing Arts Centre. There are 30,763 different households and 20,518 families in the community. The median household income is $67,807 and the median family income is $84,488. Arlington Heights has experienced a recent boom in the development of restaurants and other businesses in the Central Business District. There are approximately 500 business members actively involved in the Arlington Heights District. Because of the proximity to Schaumberg and the nearness to Chicago, Arlington Heights has an addition motivation to want to train drivers for CDL licenses. With all of the businesses that import and export their goods throughout the country, many Arlington Heights residents have already contacted the Wolf Driving School to schedule their CDL training/truck driving training classes. This not only increases their chances of expanding their careers, but it also improves their chances of increasing their incomes. Quite a number of people question why they should consider investing in a CDL truck driving school and becoming a licensed driver. This is a marvelous way to develop a successful and lucrative career. With your CDL license, you are well on your way to a truck driving career as a professional truck driver. As one of the highest-paying new careers, many first year drivers can earn from $35,000 to $70,000 annually. Why waste your time in a dead-end job with little or no opportunity for advancement, when you can call the Wolf Driving School today to schedule CDL training/truck driving training classes? Our truck driving and CDL classes will fit around your schedule, and unlike our rivals, we provide job placement assistance to our graduates! With Wolf Driving School you have the highly-qualified instructors with the background and experience to provide you with the CDL training/ truck driving training classes that will serve you well in the industry.